5 BR/4 BA NEW CONSTRUCTION IN CHARLESTON WALK / CUL-DE-SAC LOT / HARDWOODS AND CROWN MOLDING THROUGHOUT / MASTER ON MAIN / GRANITE COUNTERTOPS / RECESSED LIGHTING AND SMOOTH CEILINGS THROUGHOUT / LARGE BONUS ROOM UPSTAIRS W/ ATTIC STORAGE / LAWN MAINTENANCE PROVIDED The two-story front porch of this newly built Charleston-style home will catch your eye. 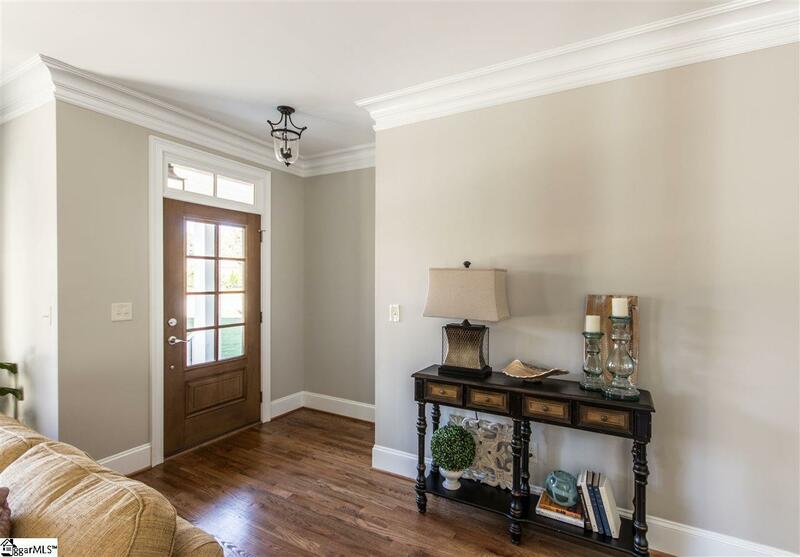 The first floor of the home displays hardwood floors and 9 ceilings throughout. A large Great Room that sits off of the Foyer features heavy crown molding, recessed lighting and ceiling fan, and a tile fireplace with a detailed mantle. Entertaining will be your favorite past time with this open floor plan that allows conversation to flow from the Great Room to the Kitchen. The family chef will immediately be drawn to the granite countertops, soft close drawers, sleek appliances with built-in microwave, under cabinet lighting, walk-in pantry and large island with breakfast bar. 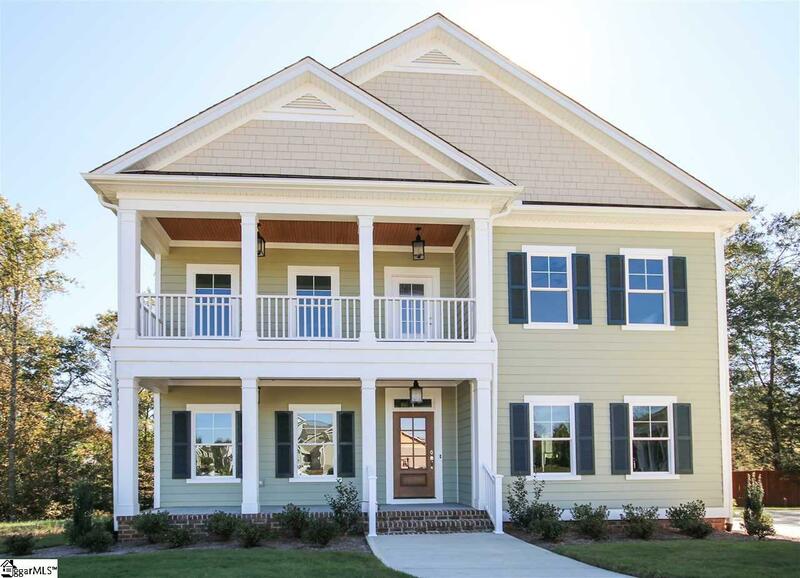 Off of the Kitchen, you will enter the Master Suite through French doors where you are greeted with hardwood floors, heavy crown molding, recessed lighting, ceiling fan and a large walk-in closet. The ensuite Master Bathroom boasts French doors, ceramic tile floors, granite countertops on his and hers vanities, tile surround walk-in shower with rain shower head, soaking tub, private water closet and access to the first floor Laundry Room through a pocket door. The large Laundry Room provides a linen closet, shelving, and a utility sink. The downstairs also offers an Office that could be a fifth Bedroom with plush neutral carpet, crown molding, lighted ceiling fan, sliding closet doors and access to a full Bathroom that displays granite countertops, ceramic tile flooring, a shower/tub combo and a picture frame mirror. Upstairs you will continue to enjoy hallway hardwood flooring and 9 ceilings. There are two additional Bedrooms with ample closet space, plush carpet, lighted ceiling fans and crown molding and also two full Bathrooms that feature cultured marble countertops, shower/tub combos, recessed lighting and ceramic tile flooring. A large Bonus Room will provide more entertaining space and offers plush carpet, ceiling fan and recessed lighting, French door utility closet and attic access. The second story front porch can be accessed through a door in the second story hallway and is a great place for that morning cup of coffee or reading a book. 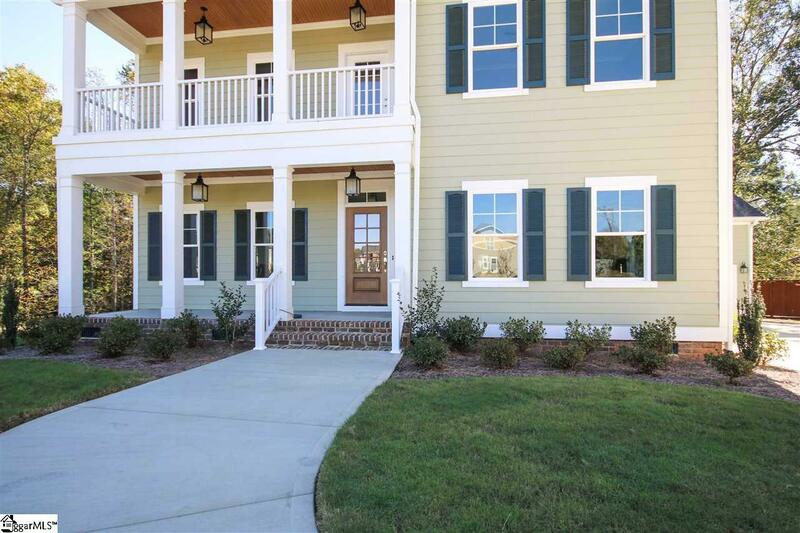 A large back deck can be accessed through the Kitchen or the Garage and will be a great place to relax, as Charleston Walk provides lawn maintenance year around for its residents! 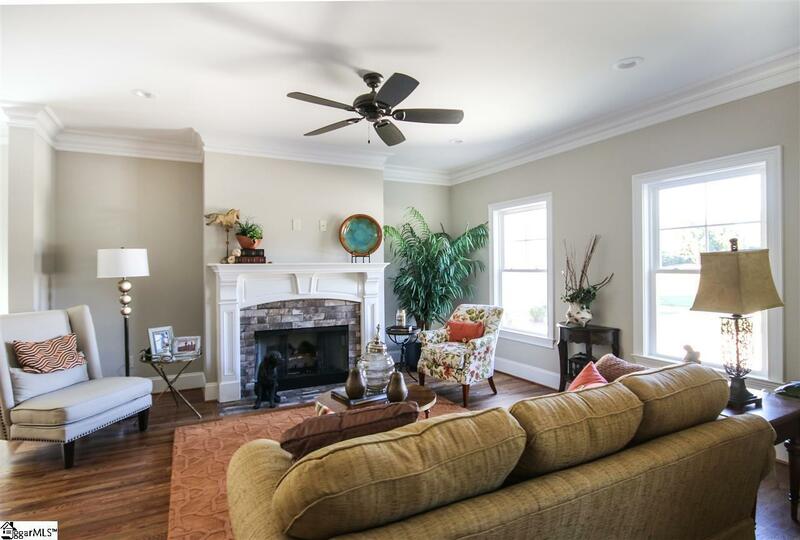 You do not want to miss this never-lived-in home in Greenvilles sought after Eastside.